Love him or hate him, Pete Junior has emerged as one of the most outspoken and charismatic screen printers on the internet. His gonzo-style live videos are legendary on Facebook groups – including his unhinged rants at spam callers selling him digitizing services. He screams "$75! Dats it!" at the caller, fully aware that they can't hang up. Pete's business, New Era Apparel, is a high-volume contract print shop. Pete's dirty floors are a running joke – the shop is dirty because they're too busy to clean! Backed by an experienced team of long-time printers and powered by infectious energy alongside a zero-BS attitude, Pete Junior is on the warpath to grow his business and conquer contract screen printing in New York state. Most valuable purchase during the last year? Pete upgraded to a 14-color M&R Sportsman EXG automatic screen printing press. "I fall in love with it even more every day." This robust unit is indispensable for Pete's shop – it's reliable, able to take on jobs with tons of colors, and backed by strong support. If cost were no concern, what would you buy to improve your shop? We've seen lots of shops tell us the same thing: go computer-to-screen. "Streamlining prep and workflow is key in contract printing since you're working on such low margins." The ability to quickly create screens is a huge competitive advantage, and CTS systems have helped numerous contract shops boost their productivity significantly. What was your biggest mistake during the past year? Pete bought a piece of machinery and didn't do research. "It's very important when you buy a machine that you check the UCC, you get a bill of sale, you get a receipt." Geneva Capital helped work out issues with this sale. Pete offers simple advice for shops that are buying used screen printing equipment: "Don't buy anything sight unseen unless you're really handy." What's a UCC? A unified commercial code financing statement is a notice from a creditor that it has an interest in the personal property of a debtor. To make a long story short – if you buy a screen printing press that a creditor has claimed, it's likely that their claim to the machine is stronger than yours (even if you paid for it). Who do you look up to in the garment decoration industry? Ryan Moor from Ryonet at PrintHustlers Conf 2018. Ryan Moor from Ryonet: "When people talk about [Ryan], they talk about him with respect." Ryan has built one of the biggest brands in screen printing, partnered with distributors to create a powerful network for fulfillment, and has virtually conquered the online screen printing space. He's become an ambassador for the entire industry with forward-thinking projects like Allmade Apparel. It's rare to find a young screen printer that hasn't used Ryonet's videos to learn and grow. Tony Sotomayor from M&R, the New York area sales rep: "Without him, I wouldn't be here today." If you could hire for any role, what would it be? Good art makes for good prints – but it's hard to find a designer with the right skills. "Definitely an artist. Graphic designers out there, give me a call. I'm dying to have an in-house graphic designer that knows what they're doing." Finding designers that are a great fit for a screen printing shop like Pete's: no easy task. Designers are already in high demand. Pete's ideal artist would be trendy and creative, with knowledge about screen printing to facilitate complicated separations. He likes to see prints and designs that don't rely on automated separation software to do 90% of the job. What skills do new hires struggle with? An ink shipment at New Era Apparel. Yes, they print a lot. High-volume contract printing is not an easy game. 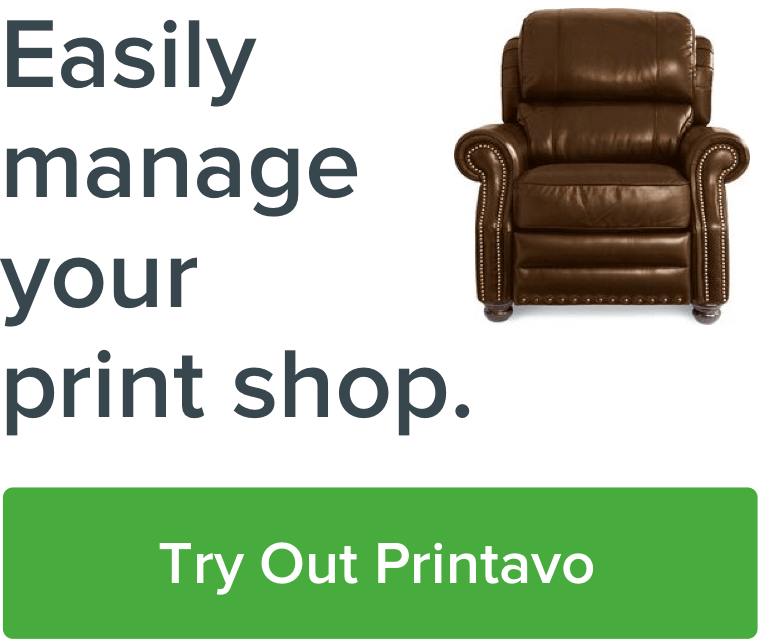 You're printing on thin margins under tight deadlines – which means things can get hectic in the shop. So what does Pete see his new employees struggle with? "Being on your feet for a lot of hours. The heat in the summer. Attention to detail. Handling a dryer. The pace: thousands of pieces an hour." Learning styles, colors, inks, processes, what to do and what not to do, the shop's unique workflow – it's a difficult industry! "You have to care, and have attention to detail." Running out of space at New Era Apparel after a big shipment. Retail customer pricing is done on a case-by-case basis. Pete evaluates the quality of the customer, and isn't looking to give away anything for free. "Pricing for retail customers is just something I improvise on. Not everyone gets the same price. Some deserve a better price than others! Good customers may get a better price." Contract printing is mostly priced through a matrix, but some costs and prices can't be captured by a matrix. "Some jobs are easier than others! Colors touching, jacket hold downs – a matrix isn't flexible enough to handle that." Because of that, there's some flexibility in pricing according to the requirements of the job. One thing is clear: over time, prices have to go up. Minimum wage goes up, garment prices go up, supplies cost more – Pete is looking to raise his prices soon to start making up the gap. "I'd like to bump my pricing up this year. Work smarter, not harder." He's starting to value his time more and invest in developing his own skills by attending trade shows, marketing seminars, and even PrintHustlers Conf 2019. "Facebook has made me hundreds of thousands of dollars." Yes, Pete is a force to be reckoned with in Facebook groups about screen printing – he's opinionated, outgoing, and honest. Because of his online presence, Facebook has been a huge driver of sales for his business. The visibility it's offered him within the industry, and among local businesses, has made the social network tremendously valuable. Pete's ambitions are to go after bigger and bigger contracts. He wants to print for suppliers, retailers, and large established brands. But he's got a caveat: he wants good purchase orders. "[I want to] offer more contract printing for people in the business that know the business that will send me a proper P.O." A huge thanks to Pete Junior for talking to us at ISS Long Beach about his shop and his thinking. New Era Apparel is part of a new generation of screen printers focused on branding, perfecting their craft, and growing their businesses. Pete's oversized personality and radical openness are just part of his unique contribution to this industry. We definitely suggest following New Era Apparel on Instagram to see the latest from Pete Junior!